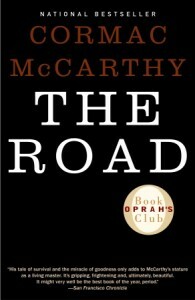 100 Word Book Review – I’ve read The Road once before and I loved it as much the second time through. Though it’s a post-apocalyptic tale of a father and son on the road, it reads to me like it could be set in the old west. It’s bleak, it’s terrifying and that’s what makes it so gosh darn good, in my opinion. You feel the desperation and terror the two characters feel as they travel down the road. 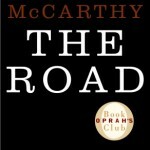 As depressing as it is, I think I’m starting to consider The Road as one of my favorite books and will, no doubt, read it again. Then they set out along the blacktop in the gun-metal light, shuffling through the ash, each the other’s world entire. Just remember that the things you put into your head are there forever. This the day to shape the days upon. 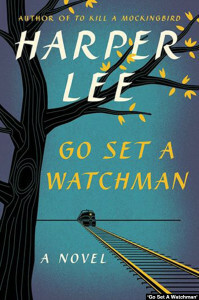 100 Word Book Review – Reading this book was like reading an alternate universe version of the To Kill A Mockingbird. This makes sense since this book is essentially the first draft of that classic novel. I’m not going to weigh in on whether or not this book should have been published because I don’t think we’ll ever know the full story behind that. 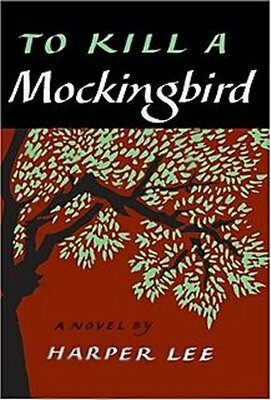 I will say that To Kill A Mockingbird is a much better book. While this one has glimpses and flashes of Mockingbird, it’s not nearly as good. There are some touch and truthful passages and I am glad I’ve read it. If you did not want much, there was plenty. She was easy to look at and easy to be with most of the time, but she was in no sense of the word an easy person. The one thing she liked most about Henry Clinton was that he let her be silent when she wanted to be. She did not have to entertain him. Time stopped, shifted, and went lazily in reverse. They…found the rest of the morning lying emptily before them. She touched yesterday cautiously, then withdrew. It was not because this was where your life began. It was because this was where people were born and born and born until finally the result was you, drinking a coke in the Jitney Jungle. Now we are both lonely, for entirely different reasons, but it feels the same, doesn’t it? 100 Word Book Review – From the reviews on Amazon and Goodreads, people really love this book. It’s often called an ‘anti-novel’ in that it isn’t written with a traditional narrative. It’s more a list of weird facts and trivia with a little bit of story about ‘Reader’ and ‘Protagonist’ mixed in every now and then. That’s said, it just wasn’t for me. I’m all for putting a spin on traditional writing but this was not as compelling to me as some reviews make it out to be. The blurb promises us a ‘shattering’ conclusion. For me, it ended with the whimper it began with. Horseflies that keep the horse from plowing, Chekhov called critics. When I could have used a wife, I could not support one, when I could support one, I no longer needed any. There is no death and art can prove it. According to legend, Li Po drowned when he fell out of a boat, drunk, leaning to kiss a reflection of the moon. Even in the solemn moments of the mass, when prayer should be the purest…when I should groan for what I have done, I sigh for what I have lost. I am in mourning for my life.